KOTO, Hanoi, Vietnam. How to help disadvantaged youth | Travel Blog & Co.
We met Koto during a very tropical rainy day, in Hanoi, just after visiting the Temple of Learning, which is next to it. Koto restaurant shocked us for its friendly atmosphere, so near to our European standards. The guys at the guest service were excellent and the food really good. And coloured cushions, evereywhere (… those are supposed to enlight the grey rainy Vietnamese days). Later, after being so satisfied with this place, from where we looked astonished the water falling outside from the sky, we discovered it is a program to scolarize and train disadvantaged street children and young adults and give them a job in life. In Vietnam this is a (happy-) trend, now. 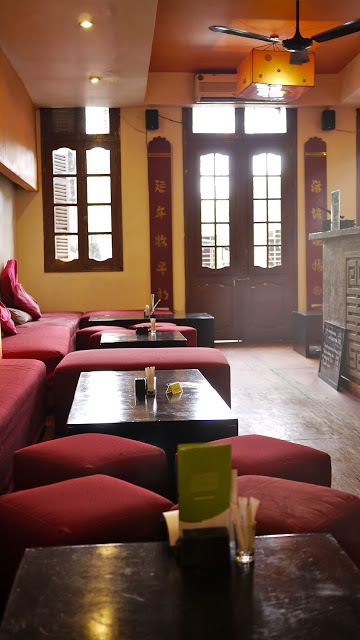 Koto manages cooking classes and now has opened also in Ho-Chi-Minh (Saigon). This entry was posted in Miscellaneous, Restaurants & Cafes and tagged articles, blog, cafe, community, culture, education, food, hanoi, ho chi minh city, koto, life, lifestyle, nature, people, photography, restaurant, saigon, social, temple of learning, travel, vietnam by costanzafabbri. Bookmark the permalink.